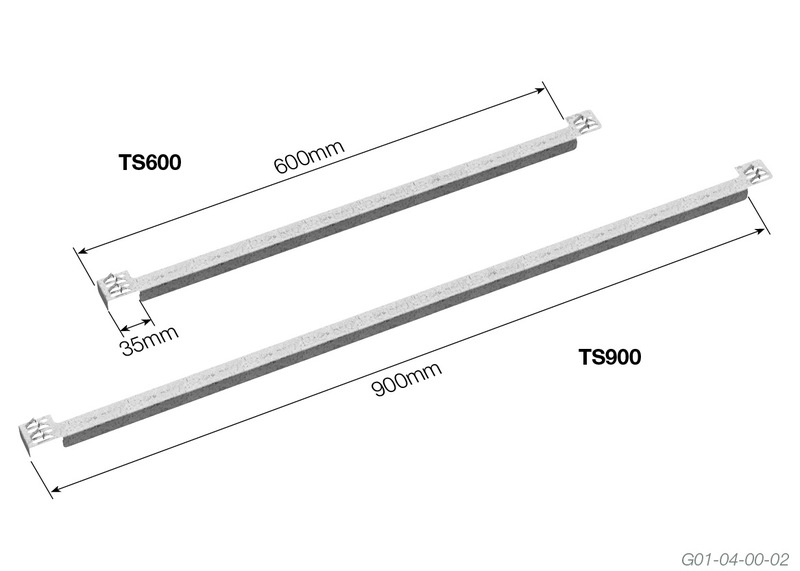 available in 600mm and 900mm lengths. 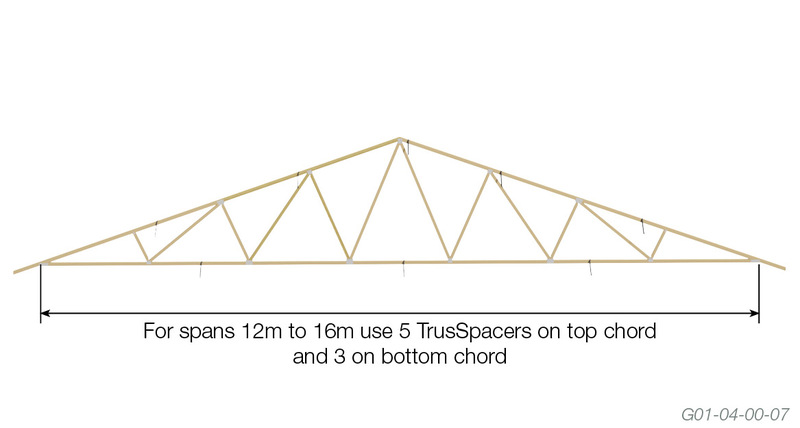 Multinail TrusSpacers greatly reduce truss installation times by assisting in truss handling and increasing the safety of roof truss erection. The pre-formed Locknail teeth at each end allow for a quick easily hammered fixing on site, thereby removing the need for nail guns to be used whilst working at height. This removes the need to run temporary horizontal roof bracing or cut blocks in-between trusses. 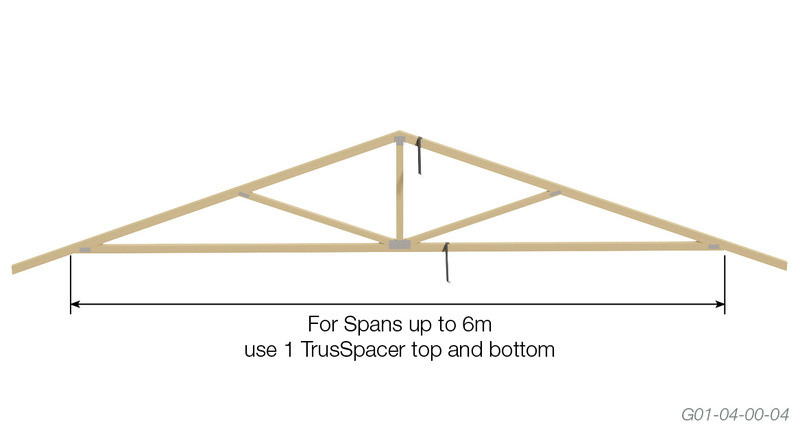 TrusSpacer lengths are set to common roof truss centres. As with most building activities a risk assessment must be carried out prior to installing roof trusses and any legislation involving working from heights must be adhered to. Install and correctly brace the first truss as per AS4440-2004 Appendix C and Multinail's "The Guide" Section 7 Recommendations for temporary bracing. Move the next truss into position and attach TrusSpacers as shown opposite. 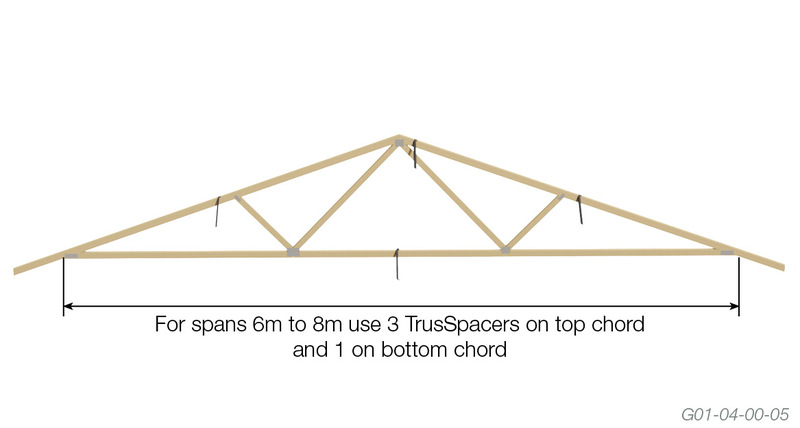 With spacers at 3000mm centres on top chords and at 4000mm centres on bottom chords. 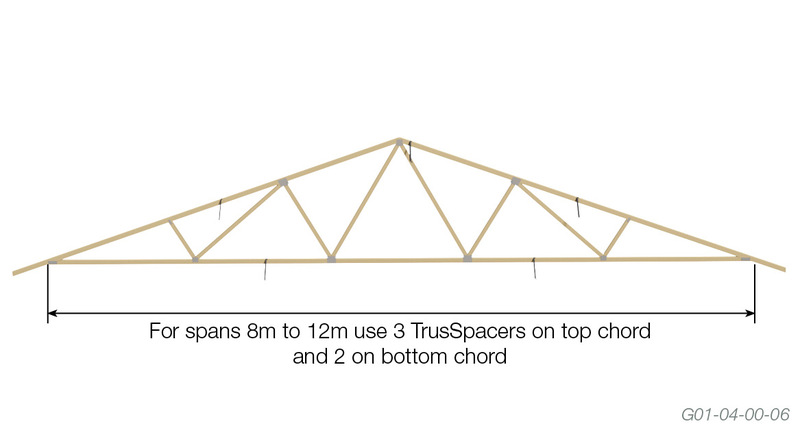 Always install one TrusSpacer at the apex of a truss. 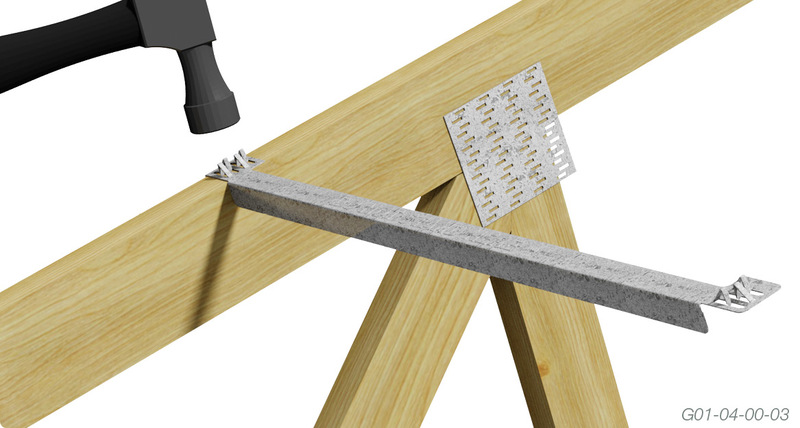 Ensure all roof bracing and roof battens are installed correctly prior to any trusses being loaded. To be installed on top chords at 3000mm centres and bottom chords at 4000mm centres. 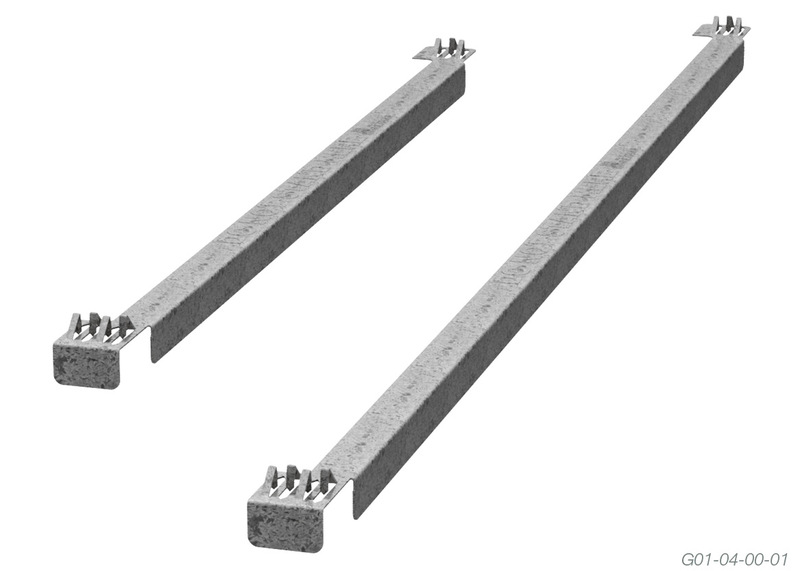 To conform with AS4440-2004 requirements, use TrusSpacers as shown below.